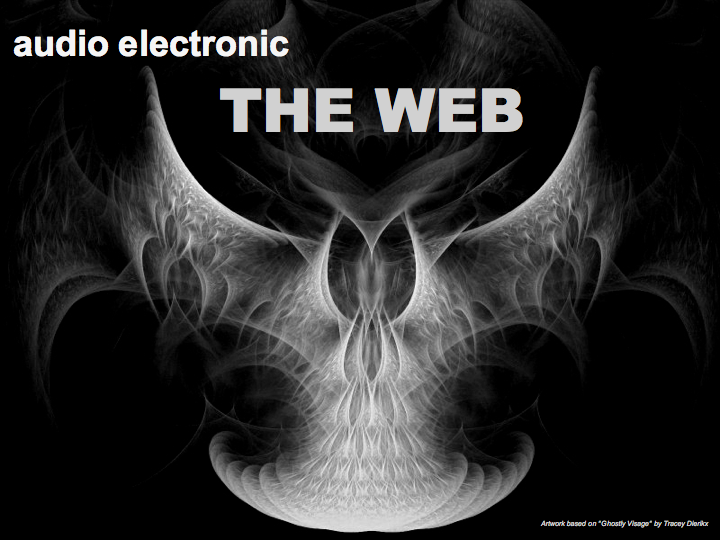 THE WEB audio electronic: THE WEB - Freeze! Im Summer 2007, a friend came by for barbecue and brought this old music cassette, a tape he and a friend recorded when they were DJing at a party. It was sunday morning, they were tired and people just didn't want to leave. So they played the worst songs/records they had (grandma's German "Schlagers", Folksongs with lyrics that no one would dare to perform today... etc.) and mixed in all kinds of crazy stuff, such as excerpts from radio plays as voice overs. Heino and Heintje on acid... One of these inserts was from an old Swiss-German radio play. My friend told me that he had found it on one of these plastic foil single discs they once used for promotion/PR purposes; you could find them in print magazines or mailings (if you were born around 1970 perhaps you'll remember...). From the short sequence of the radio play that was on the tape - obviously a detective story - I sampled the sound of footsteps in a corridor you can hear in the beginning of Freeze! Another element was, of course, the voice samples - someone telling people to freeze and stand against the wall, and someone saying "Well done, Max!". These samples and, within, the scenery of a bank robbery, prepared the grounds for the Freeze!-Series. I started from where the first series ended: the clumsy breakbeat of Freeze! is based on the 2-step beat of the track Love you, which was the last track of my first Album The Web Experience. Right after finishing Freeze! I decided to do a remix of the track. Although in this Freeze! Rmx there are only slight variations in the synth sounds and beats, the result is quite "spacy". With Freeze! Max I continued in that direction - finally it became something like a classic "hard trance"-version of Freeze! (...and my favourite one - "Well done, Max!"). With Freeze! Minimax I went back to the breakbeat. Here, the focus lies on the e-bass line. Freeze! Supermax finally can be described as a melange of the Max and Minimax-Versions, with a straight beat and several added synths and sound effects; perhaps the most characteristic feature is the guitar that joins in for the last two and a half minutes of the track. While the other versions were all produced in one go during september 2007, Supermax underwent several slight modifications until I was happy with the final result; the final mix down was in may 2008. While working on some remixes of old 80ies tracks in summer 2008 (I'll tell you more about that in a future post) I also went back to Freeze! and produced another Remix that started from the Minimax-Version. 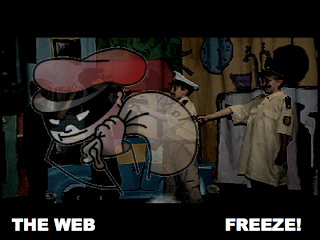 That was it - with this track called Frozen (july 2008), the Freeze!-Series was completed. Definitely. The original version of Freeze! and the Freeze! Rmx is available with visuals (february / june 2011). 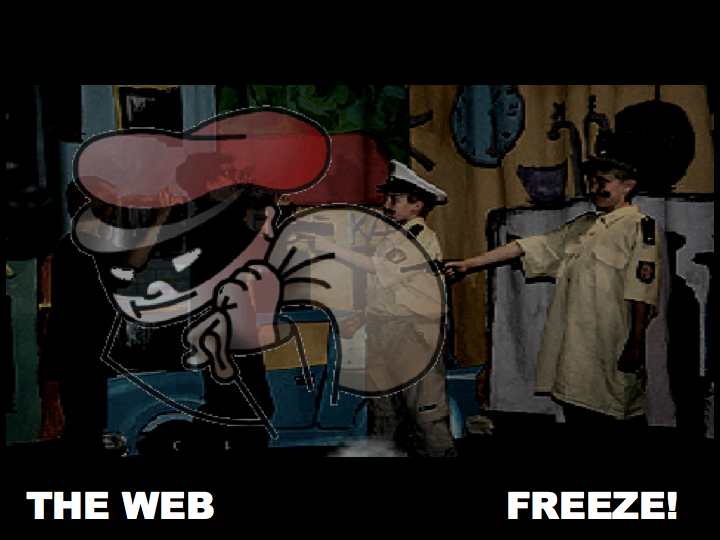 You can also preview/listen to Freeze! Max and Frozen (see below).